You don’t need to be a die-hard sports fan to enjoy one of the many sporting events in New York. But if you are one, then you most likely already have tickets or plan to purchase some. Make getting to the event more enjoyable by reserving ground transportation NYC style. A car service like Delux Worldwide Transportation offers door-to-door service. 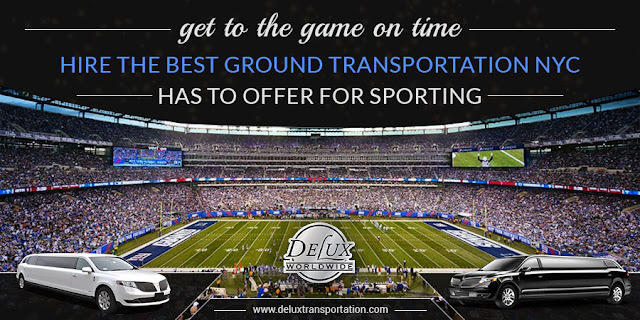 Also, hiring professional ground transportation in NYC will ensure you get there safely and with ease. The New York Knicks basketball team plays in the NBA (National Basketball Association) Atlantic Division of the Eastern Conference. They play their home games at Madison Square Gardens and have seven home games in December for anyone visiting the city wanting to catch a game. Time is running out so get your tickets now.